The melon bar is now under new ownership, Paul and myself have renovated and decorated the bar,it is a total chill out bar with a great selection of beers,wines and spirits, we are the only bar on the island that has a selection of bottled Real British ales. Hope to see you soon.. yammas. Great wee cocktail bar!!! its a pity we only found it on our last nite as its away at the top of the strip but if we had found it sooner, we would hv spent more evenings in it!!! the bar staff are very friendly and down to earth!!! think we had 2 cocktails and 4 free shots!!!!!! so def worth the visit!!!! Nice Bar, friendly staff, shame the resort is a bit quiet but if you don't want bingo, Karyoke and all that this is the place to go. Really great bar to just chill and listen to music, loved it !! just come back from a great week in Kalamaki, went in Melon Bar every night, Antony and Lee make you very welcome, great music, great laugh, and some great cocktails. 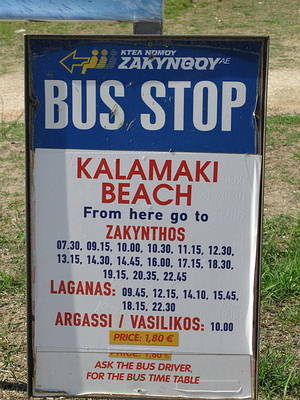 will definatly go back to kalamaki and of course our first stop will the Melon Bar. Fourth visit to Kalamaki, only discovered Melon Bar this year. Went most evenings during our holiday in May. Owners are very friendly and welcoming, lovely relaxed setting, not as noisy as some of the other bars in the resort. Best Pina Colada in Kalamaki.!! We are returning in May 2010, will definately return to Melon Bar. We enjoyed ourselves at the Melon bar, music was good and the cocktails were even better!!! Would definately recommend it and would go back again! We were just sorry we didn't get chance to say goodbye to everyone on our last night. Have paid a number of visits to this bar. Very friendly people - definatley call in there, you will not be disappointed. Good drinks at good prices - Antony & Ilyas always helpful, friendly and entertaining. Just returned from 2 weeks stay in Kalamaki, found the Melon Bar on the 2nd. night then spent every night there watching Euro 2008. Impecable service from ' Johnny Love ' the waiter and 'Lee' the 'NUTCASE' barman. Plenty of free shots too! all coupled with a good variety of music.They both work very hard to please so go along and give it a try. If you want a cold beer, the glasses come straight out of the freezer. BEST OF LUCK LADS, YAMASS!!! sat at home the night after returning from kalamaki wishing that we were having the v****a in the melon bar!!!!! great bar, great music and lee, yannis & monkey could make your holiday special. a bar not to be missed on your night out. 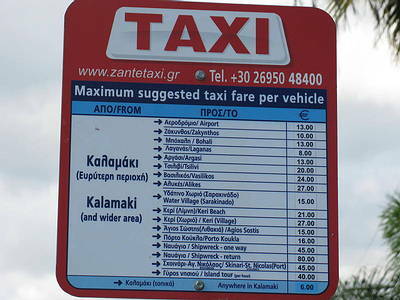 We have just come back from Kalamaki and have had a great time. The Melon Bar is absolutely fantastic. Yannis and Lee are just the best. Oh and Hi to Vicky and Helen, how they can keep up with them is beyond me. We have had some great nights in there and if any one is going over soon please pop in and say Hi. The bar is sometimes missed because it is at the end of the main street but really well worth hunting out. Missing you both, and Chelsea and Barry say hi too. Great bar, we'll be back. DON'T FORGET TO EMAIL US THAT PHOTO SIRUS!!!!!!! we found the melon bar on the 2nd night of our holidays and was there every night until we left for home.very pleasant and interesting bar with the guys doing card tricks with you.they were just starting to set up videos on a sunday night which i am sure would be a great hit.we were there the beginning of may so it was very quiet but some regulars still came in..the MELON COCTAIL was fab. Hi, i'm looking for a job this summer and wondered if anything is avalable.I have experience as I worked the summer in Kalamaki last year. If anything comes up I would be very grateful. My address is gbundy4@hotmail.com. I enjoyed the range of music, comedy and visuals presented on the patio screen. Internet access and even a mobile charging service available, Melon Bar has it all. THE BEST BAR IN KALAMAKI! We thought we'd walked into someone's living room when we first arrived, but were made to feel so welcome in Melon Bar that we came back every night. Met some great people - a bar like this attracts like minded folks, so you know it's going to be a good night. Music ranges from the very chilled out to the positively boisterous (will send photos of the Hawaii 5-0 evening shortly!) whatever you're in the mood for! Thanks for a great time Paddy and Lisa and Sammy, you made our holiday. Miss you loads!